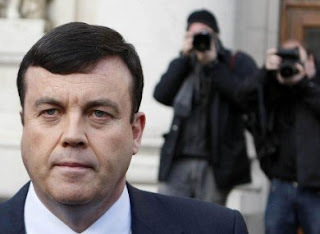 The Irish political scene was dealt a severe blow today with the untimely passing of its only intellectual giant - Brian Lenihan TD, the country’s previous Minister for Finance. 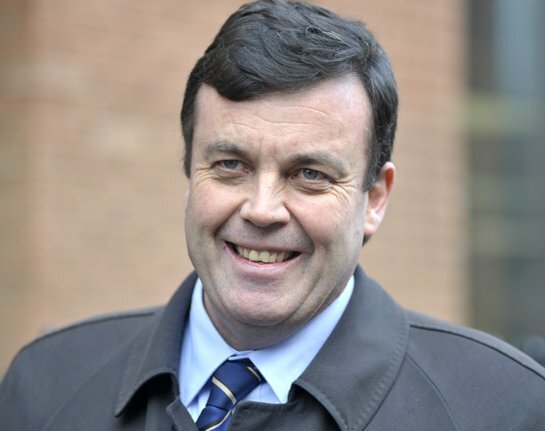 For many it was a shock but not an unanticipated event as Mr. Lenihan was diagnosed with terminal cancer some months back and only 3 weeks ago laughed off Internet rumours that he had already died. Despite his serious illness, he retained an unmatched sense of duty and patriotism which he displayed by not stepping down from office and favouring the continuation of his work in government over searching for cures or even devoting his final months to his family. He was a bastion of hope, a true hero against the Sword of Damocles that hung over his life and fought like a Trojan to the end. Lenihans have been drawn to politics as moths are to flames and with Brian’s passing it ends a dynasty's 3 generation-long tenure in the Dáil. His father, former Taniste Brian Lenihan served Dáil Éireann from 1961 until 1995. His grandfather Patrick served from 1965 until his death in 1970. His aunt Mary O'Rourke (née Lenihan) his father's sister, was a senator and a TD and a minister at various times between 1981 until this year when she lost her seat in the general election. Brian's brother Conor was most recently Minister for State from 2004 until this year when he lost his seat. Brian himself was School Captain of Belvedere College before attending Trinity College Dublin and Sidney Sussex College in Cambridge. He was called to the Irish Bar by the Honorable Society of King's Inns. He was elected to politics in 1996 in a by-election triggered by his father's death. Following his re-election in '97 he was Chairman of the All-Party Oireachtas Committee on the Constitution. He was appointed as Minister for Children in 2002 and later Minister for Justice, but reached his full potential when promoted to Minister for Finance in 2008, inheriting an impossible job and a poison chalice as it was at this time that the economy was going awry. He shouldered half the political burden of the country from the fallout of the banking crisis and showed huge political courage in the face of what he couldn’t possibly have prevented and cannot be blamed for. A towering intellect, Mr. Lenihan had a remarkable breath of knowledge that made him interesting and even entertaining company. He was famously unpunctual due to his desire to listen to and to devote time to everyone. His grasp, understanding and command of the law was outstanding. He was able to recount seemingly endless facts and points about any subject he was faced with and could quote laws, poems and historical quotes on a whim with little by way of reference. 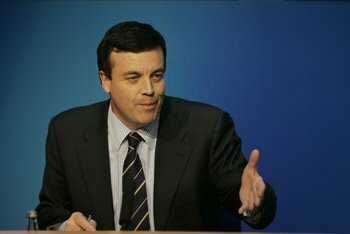 His political charisma was unmatched as evidenced by the fact that he managed to convince the Fianna Fáil party politicians to make the most unpopular decisions of any government, effectively signing their political death warrants, and he did it all for the good of the country, for he knew he had little future in life. Brian was misled, let down and stabbed in the back by the banking sector, which had issues that were infinitely bigger than what they reported to him. Knowing that a man of his honour, decency and fairness would not abide by their nefarious practices, they concealed most of their dealings from him. Brian was open, direct and honest and hoped to receive that from others but he was not granted this courtesy which saddened him greatly. The last 15 months or so before the general election can’t have been what his doctors prescribed, but he persevered with his work, travelling throughout Europe to present Ireland’s case its neighbours as well as dealing with the tremendous political resistance to his policies at home. He contested the leadership of Fianna Fáil when Brian Cowan stepped down but lost to Micheál Martin before astonishingly retaining the party's only Dáil seat in Dublin as Fianna Fáil all but disintegrated around him. Tributes and accolades have poured in from politicians across the political divide and from from every corner of the country lead by the President Mary McAleese, An Taoiseach Enda Kenny and party leader Micheál Martin. Texts were read and phone calls were played on the airwaves from ordinary people who despite being negatively affected by his draconian budgets, had sincere words of condolences for his family, wife Patricia, his son, daughter and mother and there were heartfelt expressions of mourning for his loss, many tearful. I salute any man that deserves the moniker of “hero” more than I and today there is one less of them alive. Everyone in the country should be made understand his bravery in what he did for the Irish people in the face of such opposition with little concern for his own life, and when you do understand - you will be proud to be Irish. May he finally get the rest he has so richly deserved.